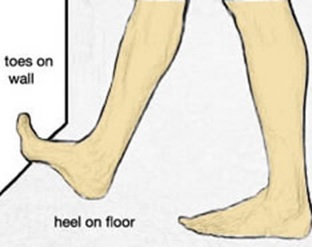 Most people can identify with taking the first few steps out of bed in the morning and feeling a searing pain in the bottom of your foot. It appears to get better when further steps are taken. It can come back often if you are on your feet for long periods of time, or at the end of the day. You can also experience it during or after exercise; such as running, or with weight changes; such as with pregnancy. 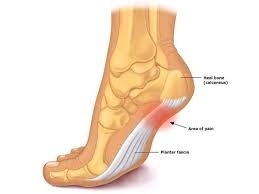 If you have had this foot pain, you are not alone. We have all had this issue at one time or another. It is part of the charm of being human and upright, bearing our full bodyweight on our feet. -Give it some rest. If you are a runner, change to a softer surface. Or change to biking, swimming or an elliptical machine. -Roll it out with a tennis ball a couple of times a day, for a minute each time. 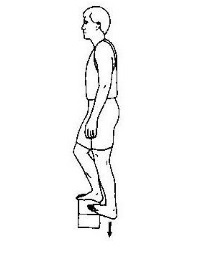 -Stretch out the foot, toes and also the calf with basic heel stretches off of a step or toes against a wall. -Roll it out on a frozen water bottle at the end of the day, to help relieve pain and bring down inflammation. If it is persistent and you have given it some time to “work itself out”, then it is likely time to see a therapist. Don’t wait too long. 6-8 weeks is enough time.